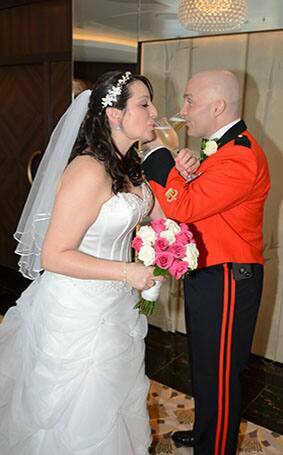 Dorieann and Brodie first met as coworkers but were in two different places in their lives. 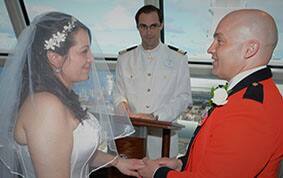 By chance, two years later, the couple reunited under different circumstances and their love story started to unfold. 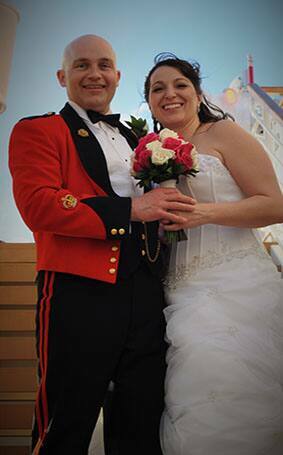 Brodie proposed with a beautiful letter and a custom engagement ring...and of course, Dorieann accepted. 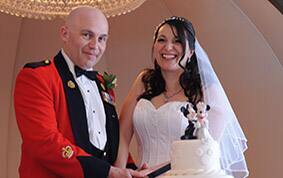 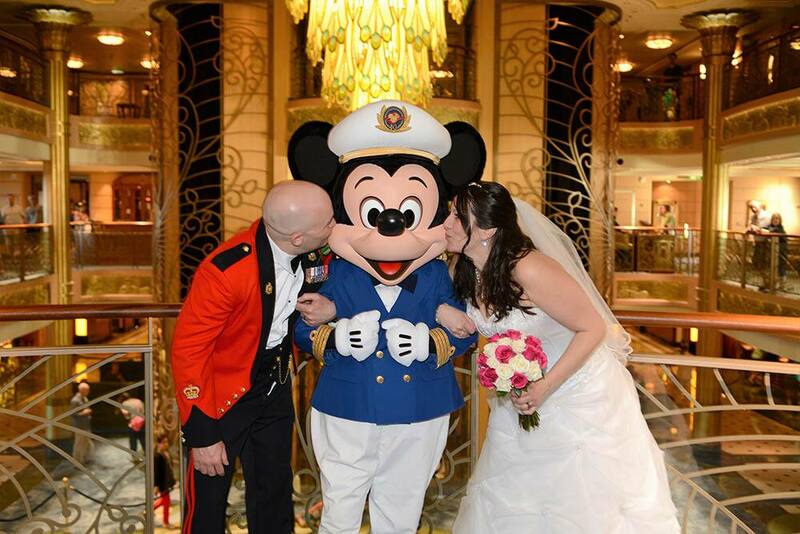 Originally, a Disney's Fairy Tale Wedding was not on their mind. 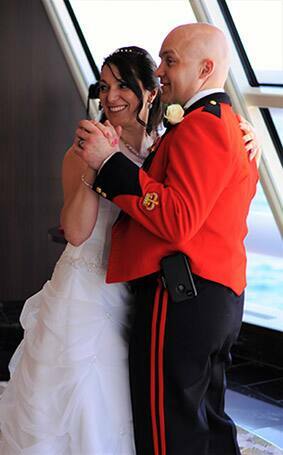 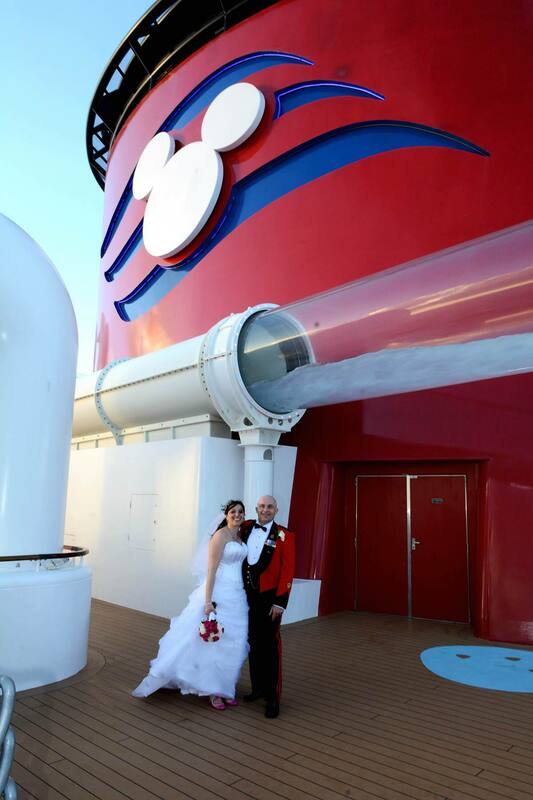 They had booked a Disney Cruise almost a year before the proposal as a gift to their children. 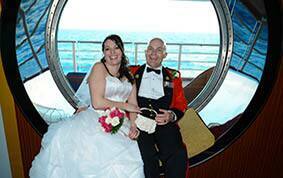 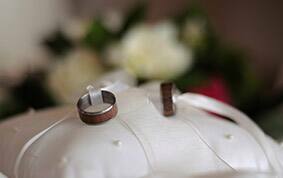 However, once the kids saw the ring, they suggested that the wedding happen on board! 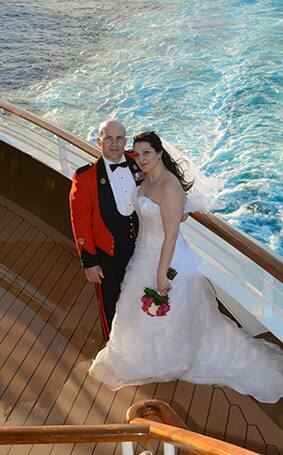 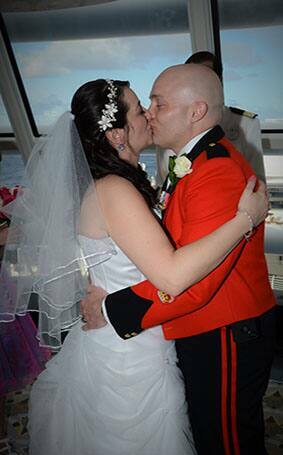 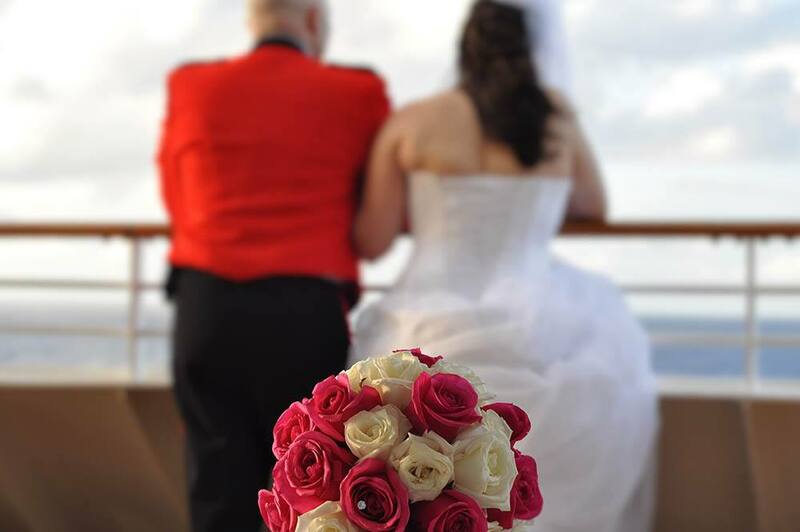 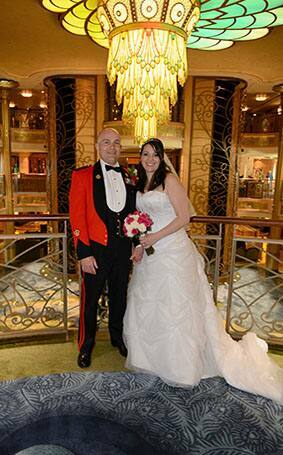 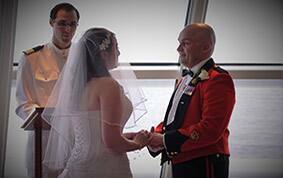 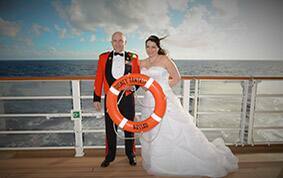 Their dream became a reality, and Dorieann and Brodie said their vows in Outlook aboard the Disney Fantasy. 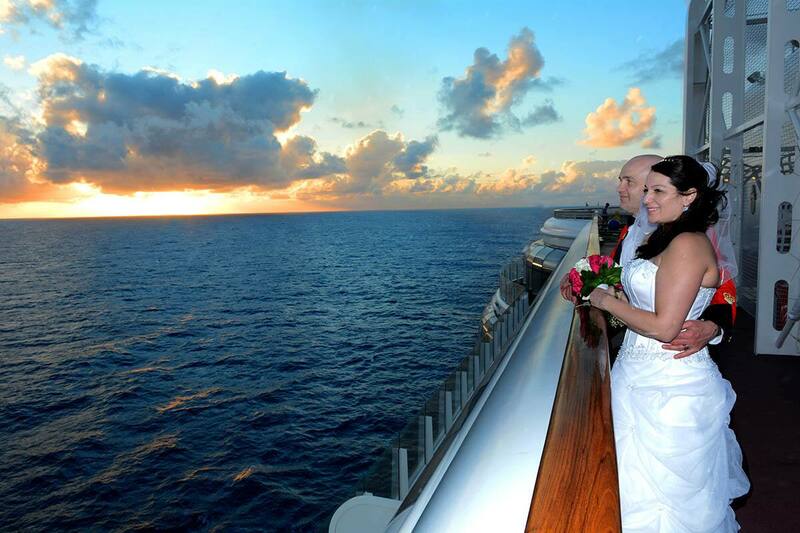 The couple described it as magical and truly the best day of their lives.